This is a legal document which contains contractual provisions (the “Terms and Conditions”). The customer’s Statutory Rights are not affected. These terms and conditions of booking are governed by Spanish Law and are subject to the exclusive jurisdiction of the Spanish courts. If any of these terms or part of any term are found to be invalid illegal or unenforceable then such term(s) shall be deemed modified to the minimum extent necessary to make it/them valid, legal and enforceable. If such modification is not possible the relevant provision or part-provision shall be deemed deleted. Any such modification to or deletion of a term or part term shall not affect the validity and enforceability of the rest of these terms. Any words following the terms including, include, in particular, for example or any similar expression shall be construed as illustrative and shall not limit the sense of the words, description, definition, phrase or term preceding those terms. 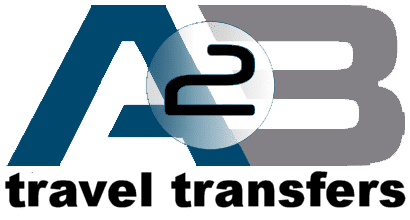 The “company” refers to A2B Travel Transfers trademark by A2B Transfers S.L. (a company registered in Spain with number B-95767406). The “customer” refers to the person or persons using or proposing to use the transfer services of the company.The “customer” refers to the person or persons using or proposing to use the services of the company. (d) to enable the company to provide the customer and other customers with relevant information through the company’s marketing programme. The company may keep the customer informed of its products and services using any of the following methods: e-mail, post, telephone, SMS. If the customer wishes to opt-out of these marketing activities please advise the company accordingly. 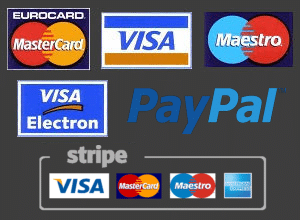 All prices are quoted in the currency € Euros, and include VAT where applicable. When a booking is made using a non spanish credit card the card issuer will debit the customer’s account in the local overseas currency and at the exchange rate applicable on the date of processing. A conversion charge may be applicable. A booking may be cancelled up to 24 hours prior to the time and date when the transfer is due to commence. To cancel a booking please contact us by emailing info@a2b.es during office hours quoting your booking reference number. All cancellations must be notified directly to the company to be valid for any refund. Customers who cancel within 24 hours of the time and date when the transfer is due to commence or who do not turn up for the service, or who do not turn-up in time to catch their flight shall be liable to pay the full price for the service booked. You can modify a reservation already confirmed by the company. This modification will depend strictly on the availability of the space, the workload and the resources available to the transfer company. To request a modification to a reservation please contact us through http://www.a2b.es/ or send an email to info@a2b.es or call us at the number provided on the reservation, in Office hours – Monday to Friday 09.00 to 21.00. In any case you have to give the reservation reference number and the changes you want to make. Please check the modified reservation in the confirmation email. The company will not be responsible if a requested modification can not be offered or fulfilled.